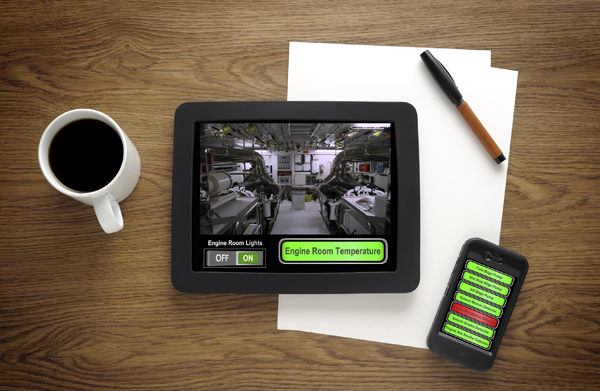 Access your vessel in real time from anywhere in the world. 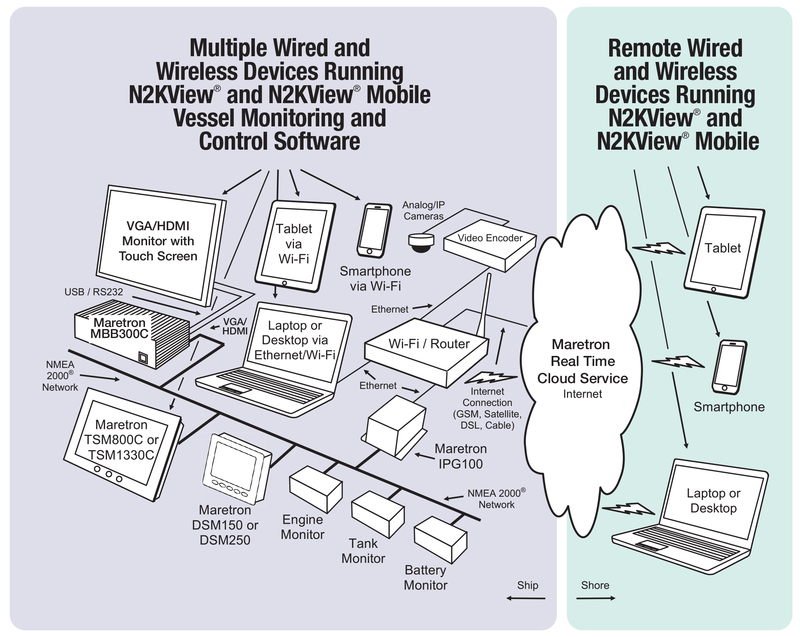 Maretron Real Time Cloud Service allows you to remotely and seamlessly connect to your vessel using N2KView® or N2KView®-Mobile software, so you can monitor and control your vessel from anywhere in the world. As long as there is an Internet connection to the vessel, Maretron's Internet Protocol Gateway (IPG100) will automatically log into Maretron Real Time Cloud Service and the vessel's information will be made available to any remote N2KView® or N2KView® Mobile. Connection between your vessel and remote N2KView® software has never been easier, whether your vessel's Internet connection is via a marina WiFi, satellite connection, GSM or cell phone modem, or any other type of Internet connection, you'll have access to the vessel from anywhere in the world. Using Maretron Real Time Cloud Service is simple, just imagine receiving an email or text notification from the vessel indicating a problem and you simply log onto the vessel using a smart phone, tablet, or PC. Using Maretron's N2KView® vessel monitoring and control software you get a better understanding of the problem and you can even initiate a corrective action like resetting tripped breakers, turning on auxiliary pumps or lights. Or maybe you just want to adjust the air conditioner or start the ice maker on your way to the boat. Whatever the reason, Maretron Real Time Cloud Service provides you with a seamless connection to your vessel for peace of mind and convenient access from anywhere in the world. For a free 30 day trial of Maretron Real Time Cloud Service, please press the "Sign Up Here" button above. Once you are signed up, you will get an email with instructions how to start your free 30 day trial. So in order to remotely monitor and control your vessel using Maretron Real Time Cloud Service, plan on using approximately 30MBytes/hour for monitoring and controlling your systems (see assumptions in number 1 above) and another 120MBytes/hour per video connection (see assumptions in number 2 above).